New Haven, Mo. 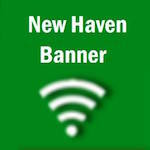 – New Haven’s Public Work’s employees do much more than the overall perception most people have. Recently a new generator was installed at Well #4 located on Douglas Street. Aside from improving the city’s infrastructure in the event of a power outage it’s the amount of work and thousands of dollars that were saved. David Blankenship and Alan Weber have been working on building the generator for over a year. They took two separate generators that otherwise were nothing more than pieces of “junk” that had been given to the city. Instead of the City spending well over 10 to 20 thousand dollars Blankenship and Weber built one generator powerful enough to supply the same amount of water used on a daily basis. Taking nothing more than two pieces of junk and salvaging parts from the two junked generators to build one. Anyone who may look at it would think it was brand new and never even notice the difference. I don’t place blame on anyone’s miss perception of our city workers; it is simply the fact the majority of citizens only know what they see. To be quite honest I had no clue the amount of work they do particularly with the number of employees they have. No different than first responders, just because it is a weekend does not mean people don’t get sick or houses catch on fire. The same is true about New Haven’s Public Works Department. They do not get to pick and choose when there is going to be a water main break or a trash truck crashing that could damage city utilities. In fact last weeks trash truck crash, there was one person from each of the citizens departments there no sooner that I had arrived. I recall a beautiful Saturday afternoon when there was a water main break. Obviously this is something that must be fixed right away. It’s not like it can wait till Monday. Citizens would be out raged if they had to go without water for two days. In fact just today when I was downtown visiting the Lewis and Clark Expedition I was standing at a water fountain wanting a drink of water. It was not working, which was not a big deal. What was a big deal is that David Blankenship happen to be looking at the exhibit set up and noticed me trying to get a drink of water. Without a thought he walked towards me and fixed right there. Thank You David, I really appreciated you doing that. The next time you see a city work maybe say thank you and now I hope your perception has changed because not you know a small amount of things they do to save tax payers money but make sure that you can have a glass of water of your gas water heater will allow you to take a warm shower.